This class is FREE for all. Make a question about the topic of this session in the blue comment form at the bottom of the page. Reply to one of your classmates’ questions in the blue comment form below by pressing the Reply button. To leave your comments and reply to the comments of your classmates, you should either create a free account on LELB Society and log in to your account, or log in with your social media accounts. You will be removed from the Skype group if you miss the deadline for your assignments, i.e. Tuesday, 9:00 pm (Iran). Join our Telegram Channel to stay informed of our future classes. Please take an either positive or negative position to the statement below. You cannot be neutral. If all students have the same idea, the teacher will play devil’s advocate to have a heated argument. There are many successful and happy people without appropriate subconscious minds. Do you agree with the statement in the following photo? Your answer should be either yes or no. At the end of each session, we try to come to an informed conclusion on the selected issue. The students are expected to take notes during the class and use their notes to reach a conclusion at the end of each session in around 2 minutes. Do you have any sense of belonging to LELB Society? If your answer is “no”, please let us know what we can do to generate a more solid sense of community and belonging in you to LELB Society. 1. Do you agree with this statement? 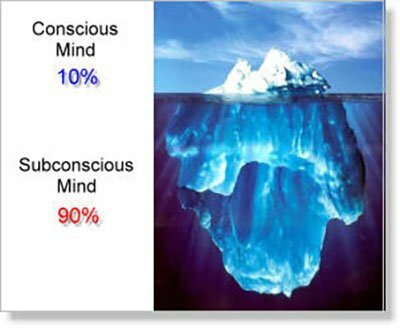 It’s scientific that 90% of our mind is subconscious and the minor rest is conscious. Most of activities such as walking, eating, breathing and etc. that have been habituated in our mind are controlled by subconscious mind. Subconscious mind is subjective and like a memory bank stores everything that ever happens. The conscious part that makes up 10% of the brain that thinks and perceives the word to do something deliberately. etc. means ‘and others’. So avoid using ‘and’ before it. The most recent brain research strongly indicates that the subconscious mind controls 90% of our choices and the conscious mind controls 10 %. The function of your subconscious mind is to store and retrieve data. Its job is to ensure that you respond exactly the way you are programmed. The Conscious Mind is the gardener who plants the seeds (thoughts) into the soil which is the Subconscious Mind. Your subconscious mind is like a huge memory bank. Its capacity is virtually unlimited. It permanently stores everything that ever happens to you. It does not think or reason independently; it merely obeys the commands it receives from your conscious mind. With the help you your informative reply, I try to make my conscious mind even more conscious of my subconscious mind. You’re welcome. Thanks, You add great point !!! ? I should thank you more. 2. do you think whether subconscious mind is more important in making decisions or conscious mind? Does anybody care to criticize this question grammatically? 2. Whether is commonly followed by a to- infininitive to talks about the choice between two or more possibilities. Do you think whether subconscious mind is more important to make decisions or conscious mind? You are right, the first word of each sentence should be capitalized. About the function of ‘whether’, in fact, it could be used in this case, too. So, there is no strong objection. Your subconscious mind is an incredible power that you have yet to develop and use to it’s full potential. It is pretty powerful when it comes to creative problem solving. We receive ideas from it at random, unpredictable moments. For example, many of us have experienced solutions to problems just popping into our minds when doing something like taking a shower or going for a walk. Also, there are many famous examples of scientists and artists finding that their best ideas come to them in a dream or just appear in their mind in any place. It’s clearly their subconscious mind that is producing them. Exactly! And the most tangible example is the case of Archimedes when he was taking a shower and realized how to measure the density of objects by dint of water and yelled “Eureka!”. As Brian Tracy says: Your conscious mind commands and your subconscious mind obeys. In fact it is our conscious mind which manipulates the subconscious mind, like a computer which is programmed by humans in order to work. So both the conscious and subconscious minds are involved in decision making. But the power is in the hands of the conscious mind, since it can govern and handle the subconscious mind. The point is that these two minds are delicately interrelated to each other. In other words, it is true that your conscious mind governs your subconscious mind. However, from another perspective, there are many occasions on which your conscious mind is actually dominated by your past memories, experiences, etc., in a word, your subconscious mind. We will definitely discuss this challenging point in the class. You’re quite welcome. I should thank you, too. To answer this question, we have to divide our decisions to two different groups.First group is includes ordinary decisions such as, reaction to touch hot iron or reaction to sharp light etc. which are make majority proportion of our decisions. Second group is about important decisions like marriage, choosing career, which are make minority proportion of our decisions. Personally, i believe second group is more important than first one and has more significant effect on our life quality. Since second group is related to conscious mind, so conscious mind is more important in making decisions. I think one of the important sources of decisions are dreams and The subconscious is where dreams are stored. You think right. Your subconscious mind is the main source of your dreams. 3. Do we have the ability of cleaning or deleting the undesirable events from our subconscious mind? I like this question so much. Your subconscious mind is an unquestioning servant that works day and night to make your behavior fits a pattern consistent with your emotionalized thoughts, hopes, and desires. All your habits of thinking and acting are stored in your subconscious mind. The Conscious Mind is the Computer Programmer who programs encouraging, successful, positive thoughts or worry, doubt, and fear into the Subconscious Mind. The Subconscious Mind is like the software that will obey any command you give it. Your mind can create wonderful things for you, if you know how to use that power and how to send the right messages to your subconscious. I learned so much. Thank you. By the way, would you like to participate in this class? Shall I add you to our conversation on Skype? Thank you so much for your attention. It’s my pleasure but I have some problem for appear in this class. I read five articles about subject and want to share them by comments. Thank you for this opportunity. Your information is great. But I think, you should put your information about subconscious mind into practice. I mean, work on your subconscious mind to challenge yourself and attend this class. Mind has a huge power and our will could make it more huge. While we ignore unpleased memories repeatedly, this conscious effort would prosper gradually. 4. How conscious and subconscious minds work together? Is it possible to becoming conscious of our subconscious? How do conscious and subconscious minds work together? Is it possible to become ….? 5. what is the related between happiness and conscious? What is the relationship between happiness and consciousness or conscious mind? 6. How is it possible to access the power of subconscious mind? A practical question, thank you.